Hey there, Galentine! Spark your LOVE for lettering in this beginner level class. 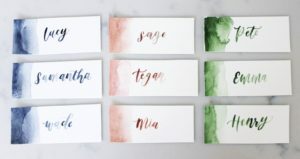 Your instructor Meredith Herman of Tassel + Trim Shop will begin with walking you through the basics of modern brush calligraphy. You will have time to practice and learn elements of establishing your very own lettering style. Finally, you will be provided with cards and tags to letter on, in perfect time for Valentine’s Day! Continue practicing long after the workshop has completed with a printed guide provided to each attendee. Letter on a set of provided cards (3) with envelopes and 3 hand-painted watercolor tags—perfect to adorn a Valentine’s gift! Take home Meredith’s favorite black brush pen for brush lettering. Cost: $55, includes the full class presentation. Hey, there! I’m Meredith and I believe there’s always a reason to celebrate life! 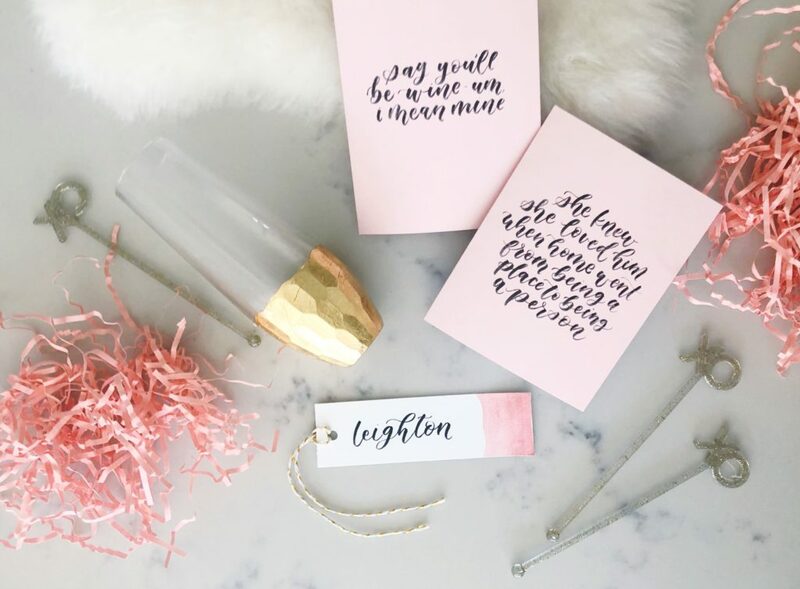 That’s why I began Tassel + Trim Shop —to help people celebrate whether it’s a wedding, shower, birthday or just the weekend. My passion for hand lettering began in first-grade — I must have written the word pineapple in cursive 100 times in one week. The way the letters flowed together sparked something inside of me. 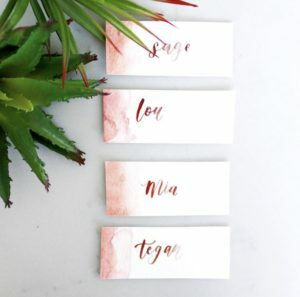 Years later, my love for lettering fueled me to create all the details for my wedding which introduced me to the world of lettering for events. 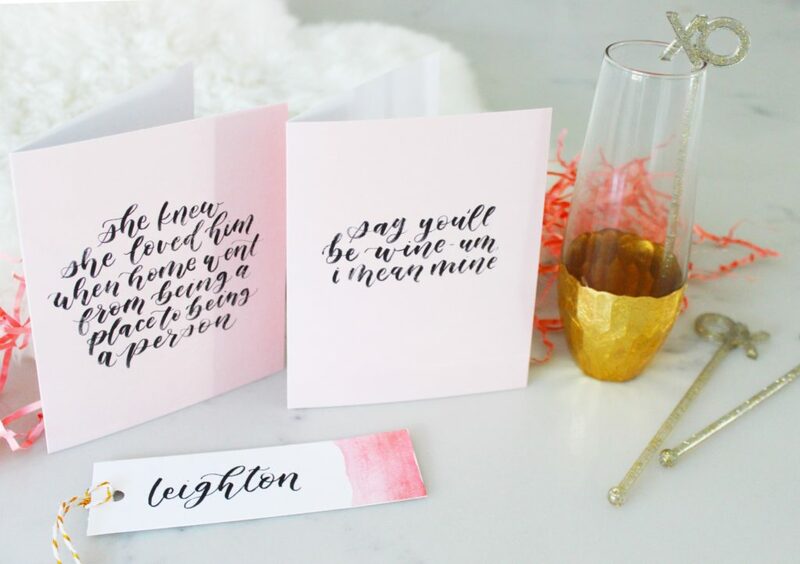 Over the last 5 years, I have continued to refine my hand lettering and have developed my own style of modern calligraphy that comes to life through event embellishments and delighting customers with customized designs. I have helped customize hundreds of events–from small tokens of appreciation to large scale corporate events. When I’m not working with clients, I love to host workshops where I can share my love for hand lettering with others.